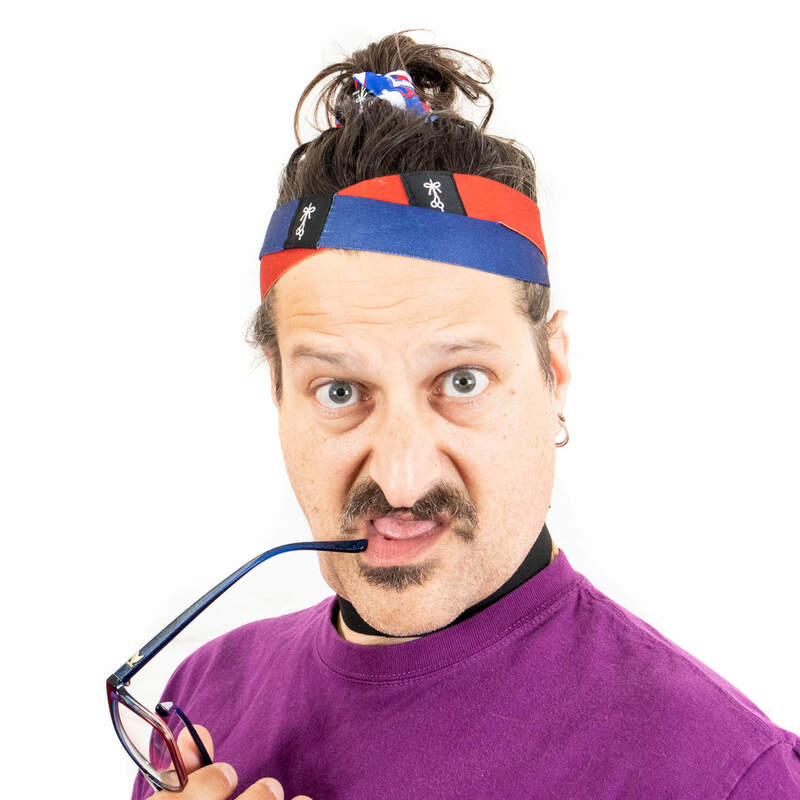 You’ve worn it down, you’ve tied it up, you’ve rocked all types of hats and headwear, but have you tried the headband? 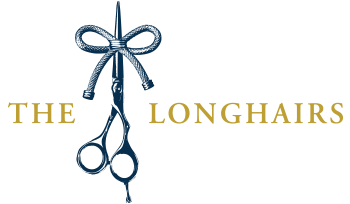 If not they might feel unfamiliar at first, but once you get over that you quickly realize this versatile tool can become a staple within your hair product arsenal—especially if you have short to medium-length hair and you’re growing it longer. 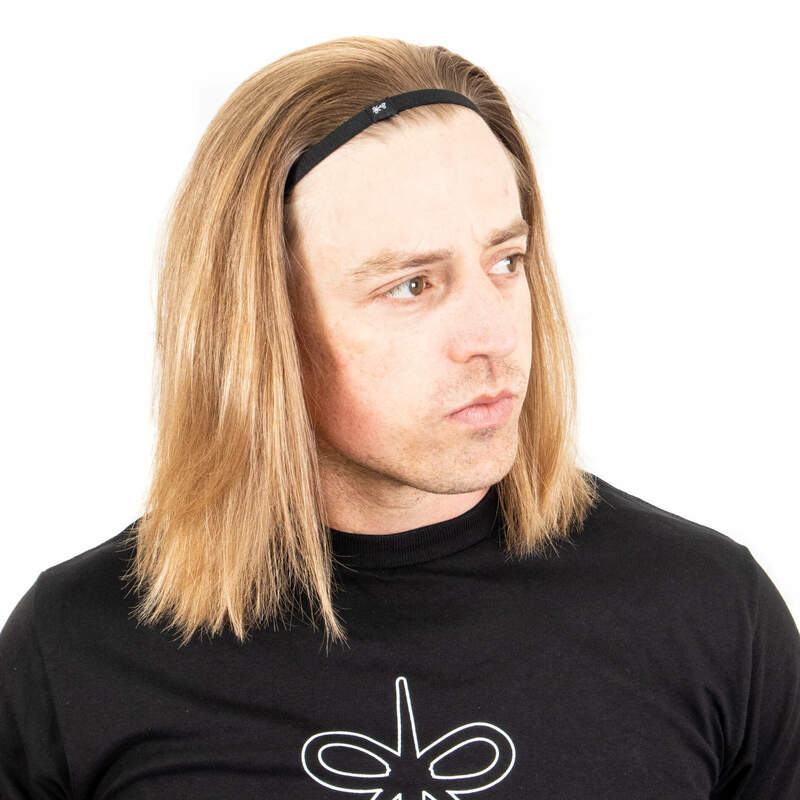 If you are in the awkward stage, or your hair is just above your shoulders, the headband is a ridiculously easy way to keep the hair out of your eyes when it’s still too short to tie back. 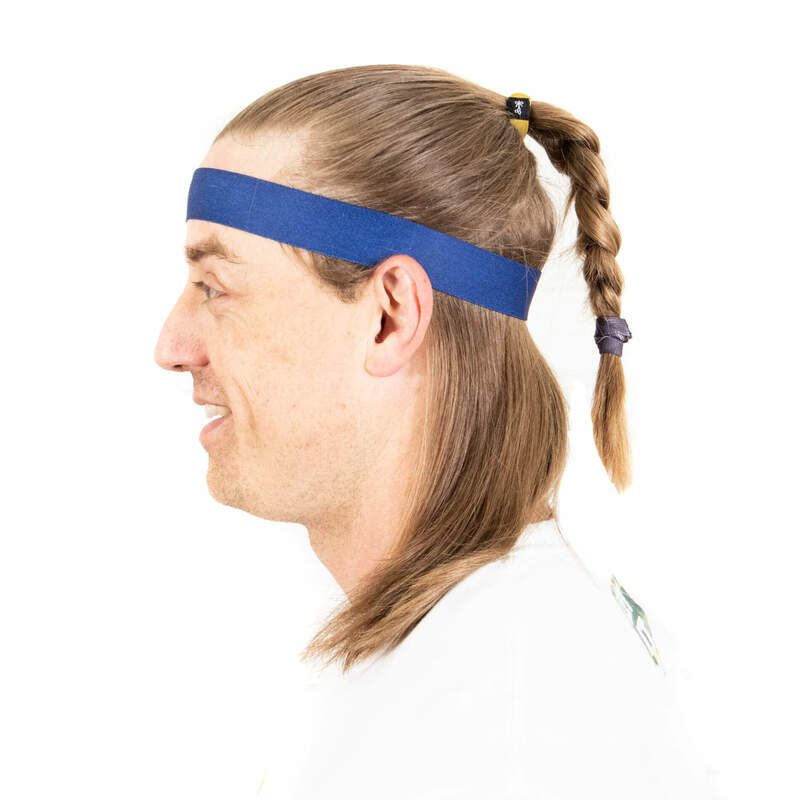 And for the long hair veterans out there with a flowing mane, not only is the headband a great way to keep the hair out of your face, but you can also get creative with combinations of tying or twisting your hair up while utilizing the headband. 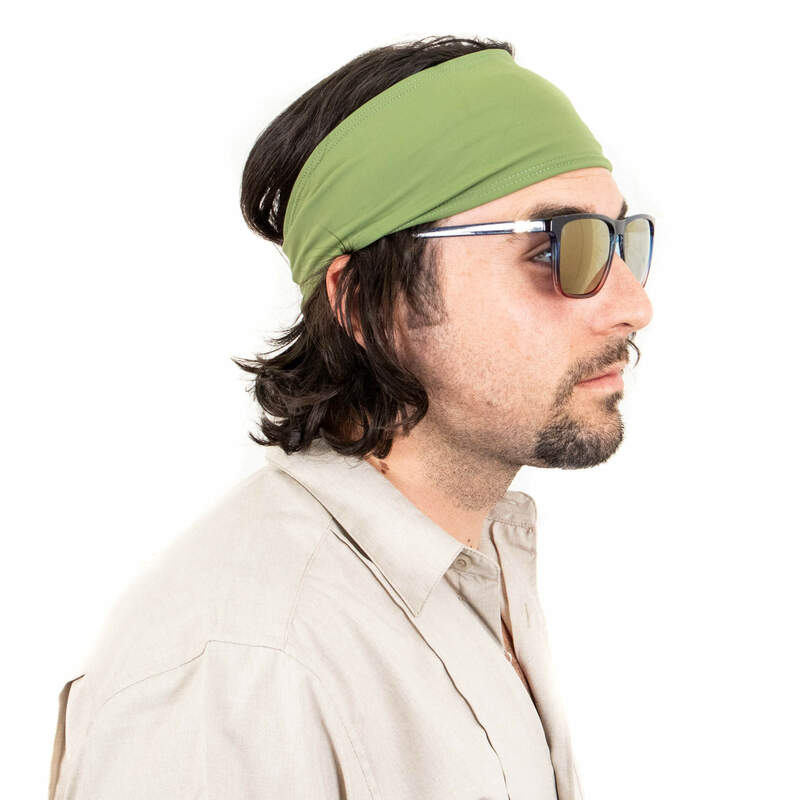 Headbands come in all shapes, sizes, colors and materials. There are thin elastic bands, thick headbands in elastic or cloth, plastic arches, headbands with teeth, some with rubber and silicone on the inside and many others. 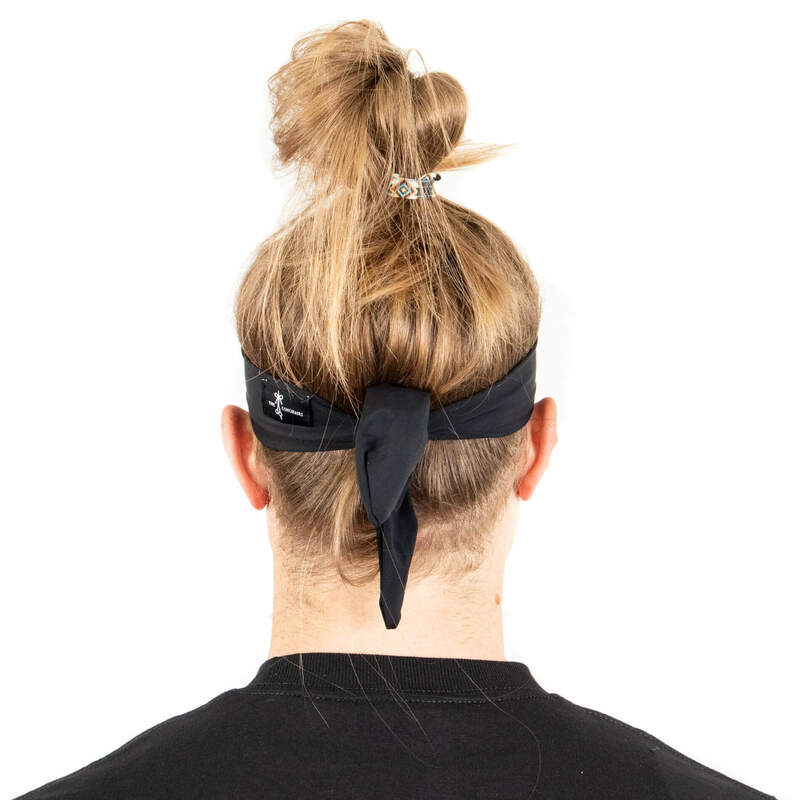 Let’s just say there are tons of style options, but to execute these headband hairstyles all you need is one thin headband, one thick headband and a full-fitting headband (we call em headwraps). From there all the styles are pretty straightforward. 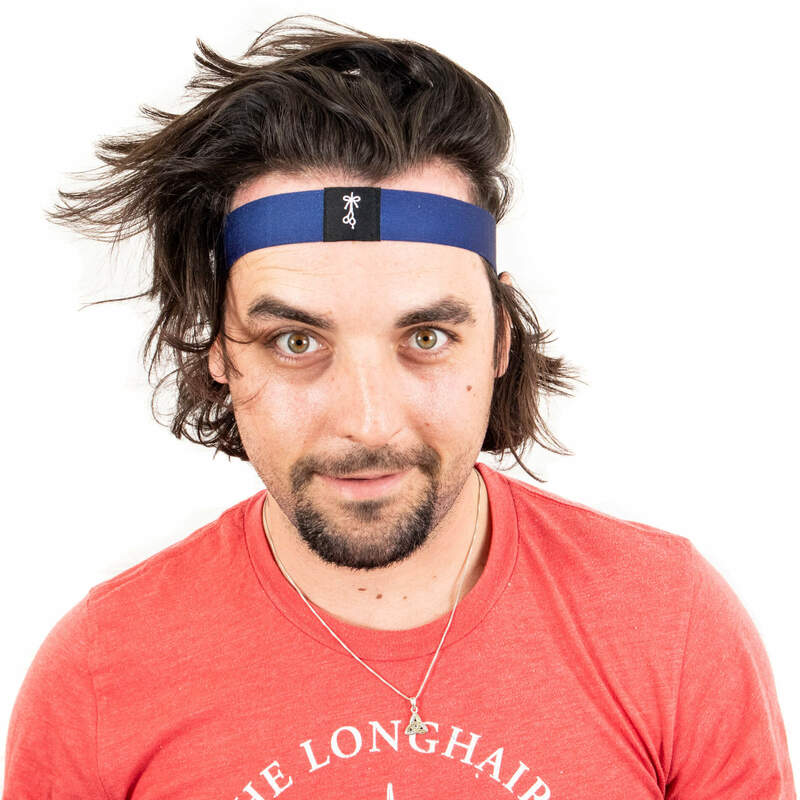 Here’s some inspiration for rocking the headband like a pro, with multiple combinations and styles you can add to your daily routine and add headbands to your list of long hairstyles for men. Yo! Headband Guy. Did you know…? 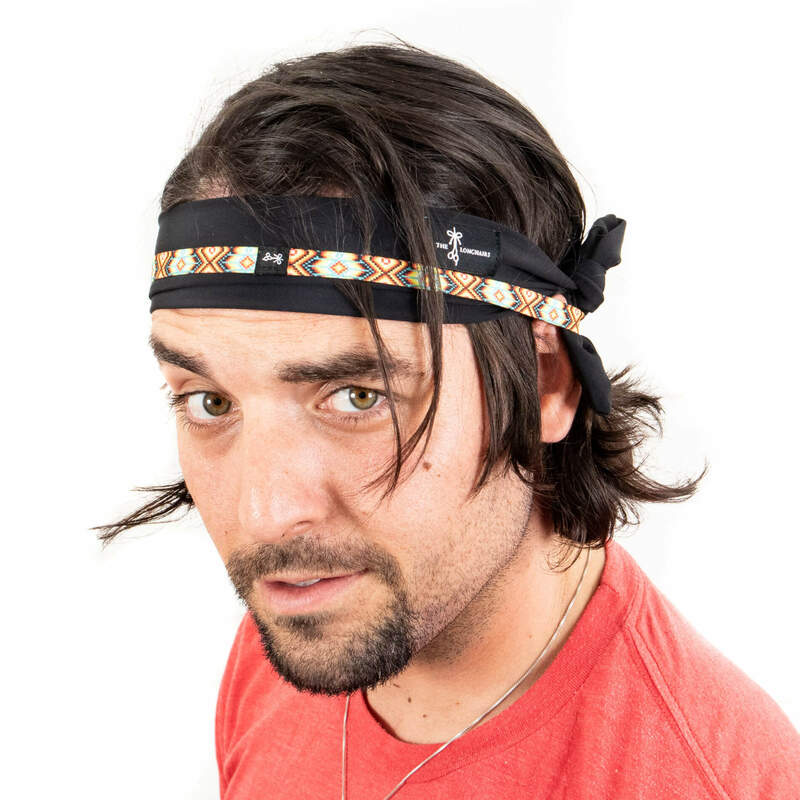 We make all the headbands you see in these styles, plus Hair Ties For Guys and other superior products for guys with flow. 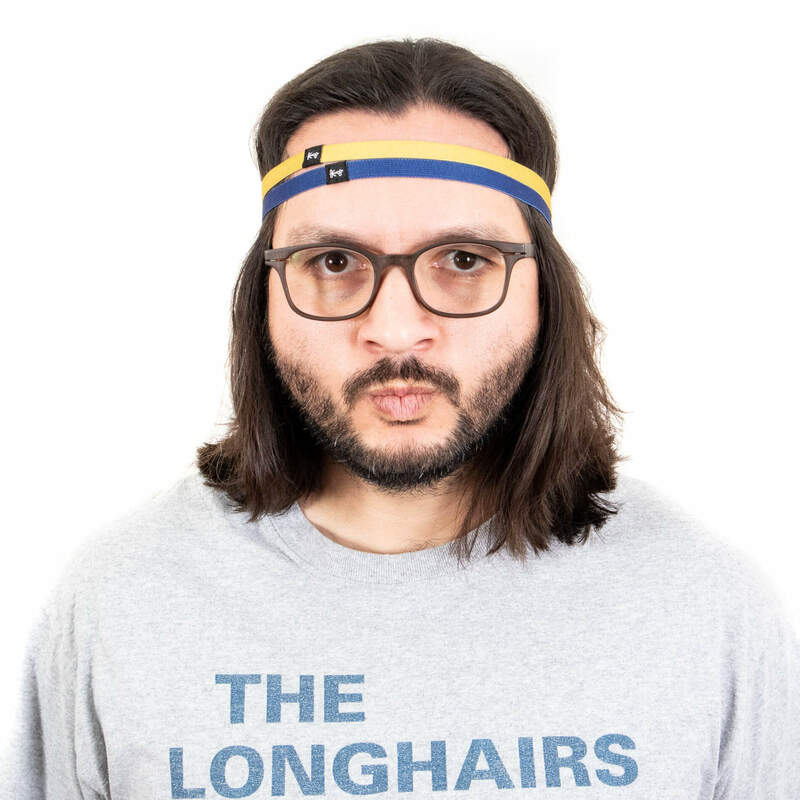 We’re The Longhairs, you might recognize us from Shark Tank or from breaking the world record for the most hair donated to charity, or from hundreds of other hair tips and tutorials like this one. 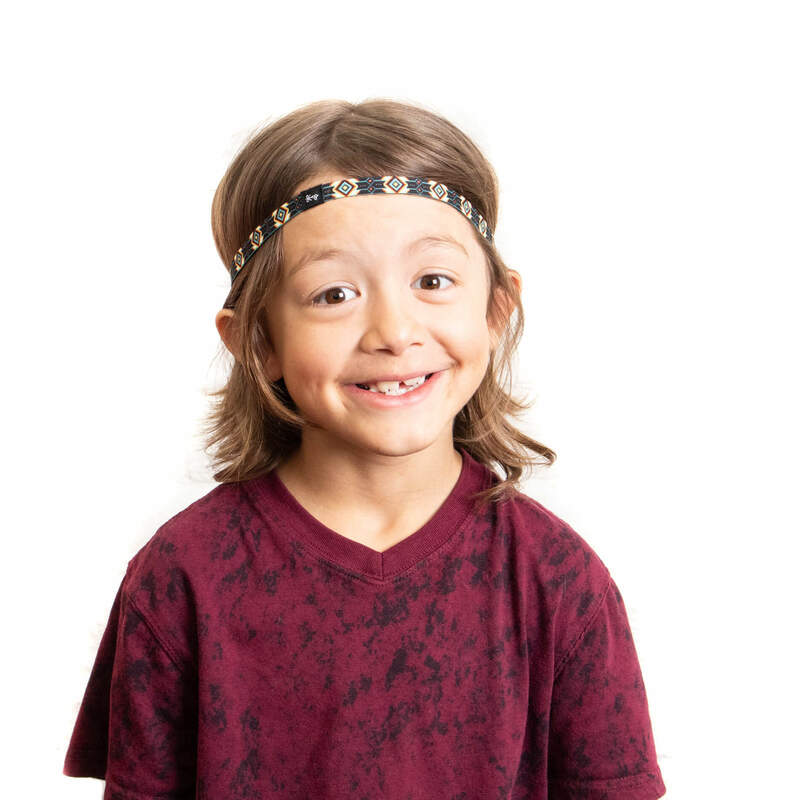 Check out our full selection of headbands and hair ties, taking under advisement we donate $1 for every purchase to provide hair replacements for kids with medially-related hair loss. In the meantime, keep lettin it ride. Ive been rocking the headband for over a year now. I always rock the daily driver. comes in handy when im working and it doesn’t cause the tension headache that pulling back does. Excellent point Micheal. 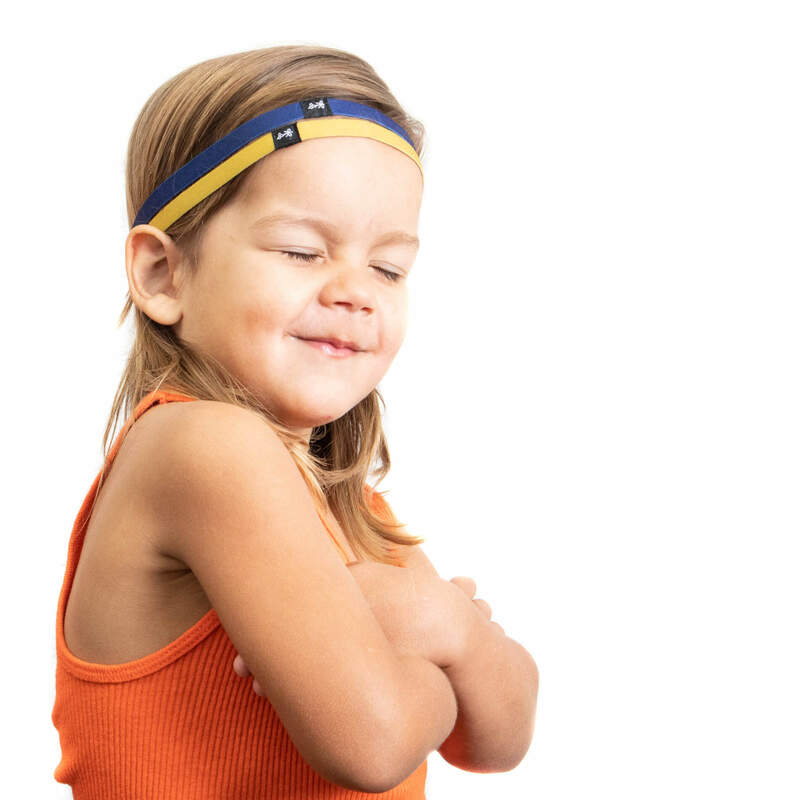 That is huge with the headband, zero tension. 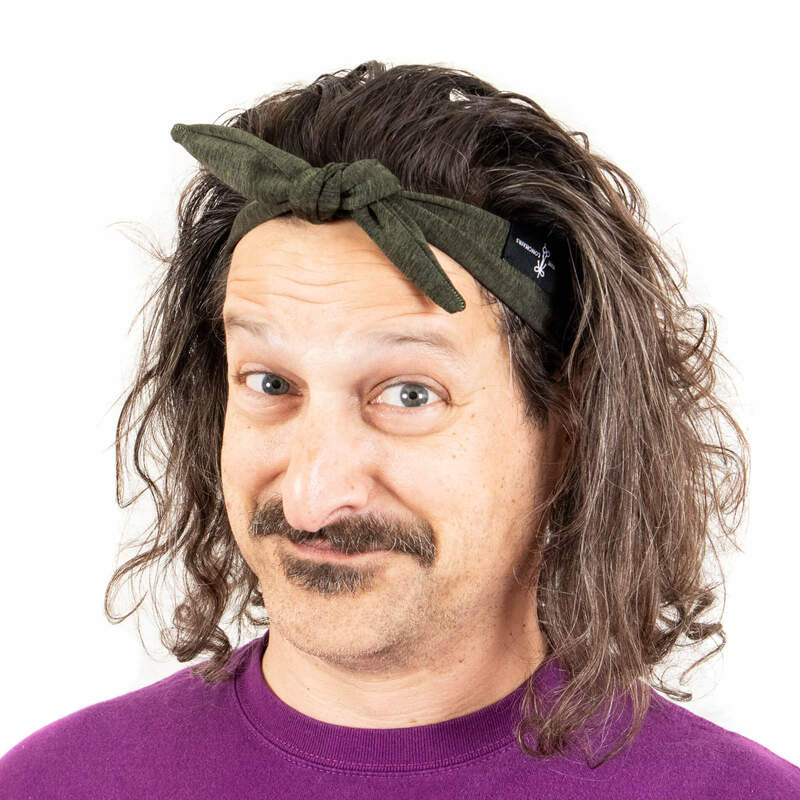 would a bandana work as well as a head band? Great looks! 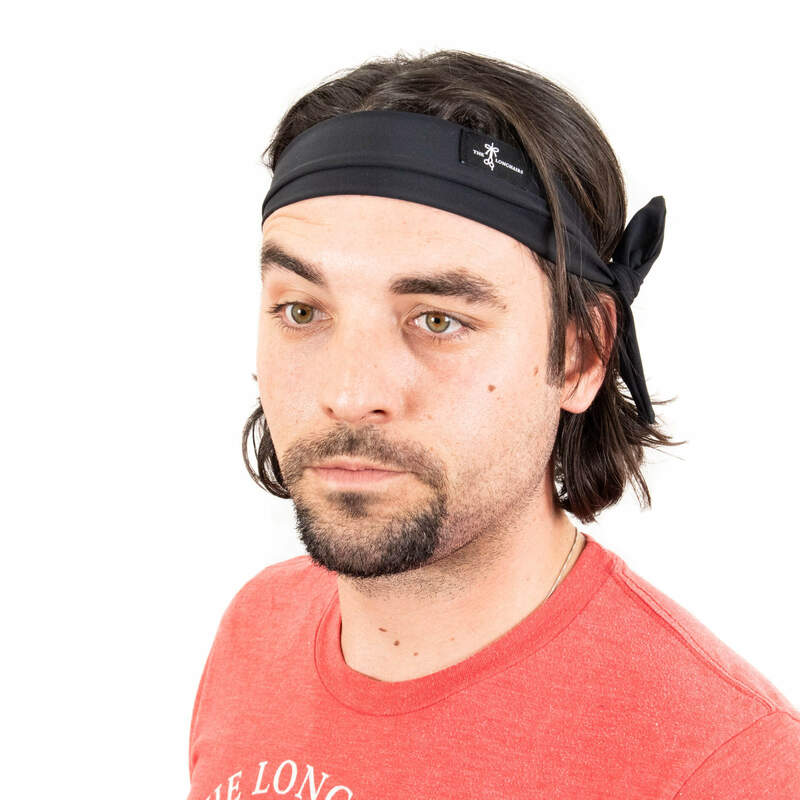 Some classy Longhairs headbands for guys would be a good product addition. I used a headband during my awkward stage last year. I’m not sure I’d say that I was successful… but I did. 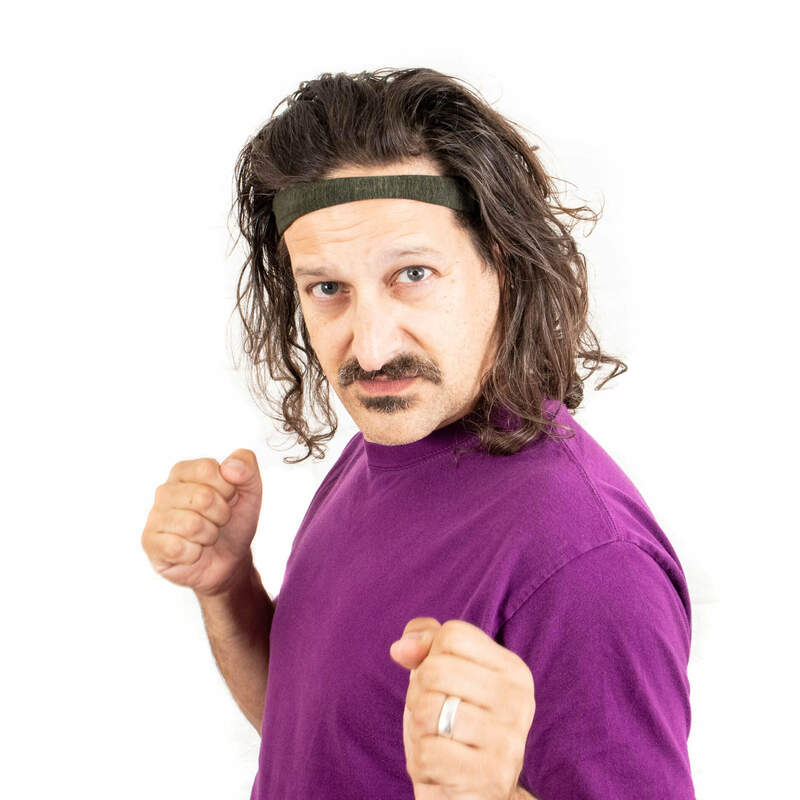 Maybe it’s time to revisit it now that I’ve got a flowing mane that very little can tame. I don’t like having it roped up and tied down just to keep it out of my eyes and mouth. Yea man, lot less stress on the hair. Give them another shot! Thanks bro, loving this. Just 8 months into my journey, so eying the basics at the moment. Gotta keep on keeping that growth coming. You guys keep me focused. Thanks! Hell yea Andy. You got this! 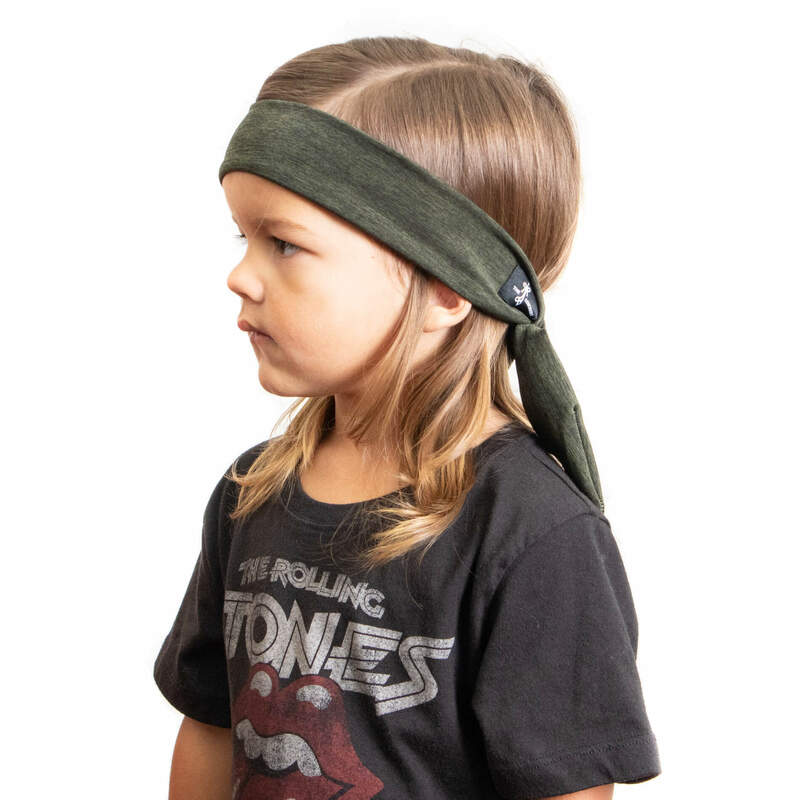 The headbands are awesome in your stage, even if it’s just when your around the house. They keep everything out of your way so you can handle business. They got to be the best thing for running for sure. The one problem I have with headbands is that they always slip back. Even the ones with the rubber backing. I got some mad curly hair and the plastic ones with the teeth are a bit rough on my locks. This is an Amazon affiliate link. I wasn’t given these, discounted or paid anything. 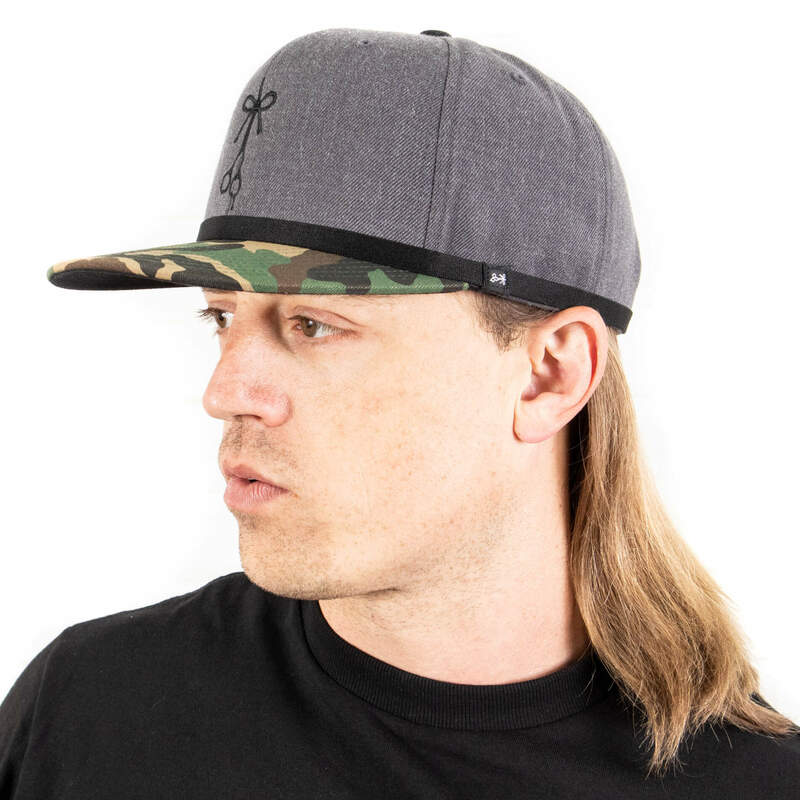 Just thought you guys might wanna check em out. Dude those are sick. I like how big it is, kinda like a half beanie. Don’t forget about the old standard issue red bandana. Been around for years. Just tried a few and I love having less tension so there will be less breakage. 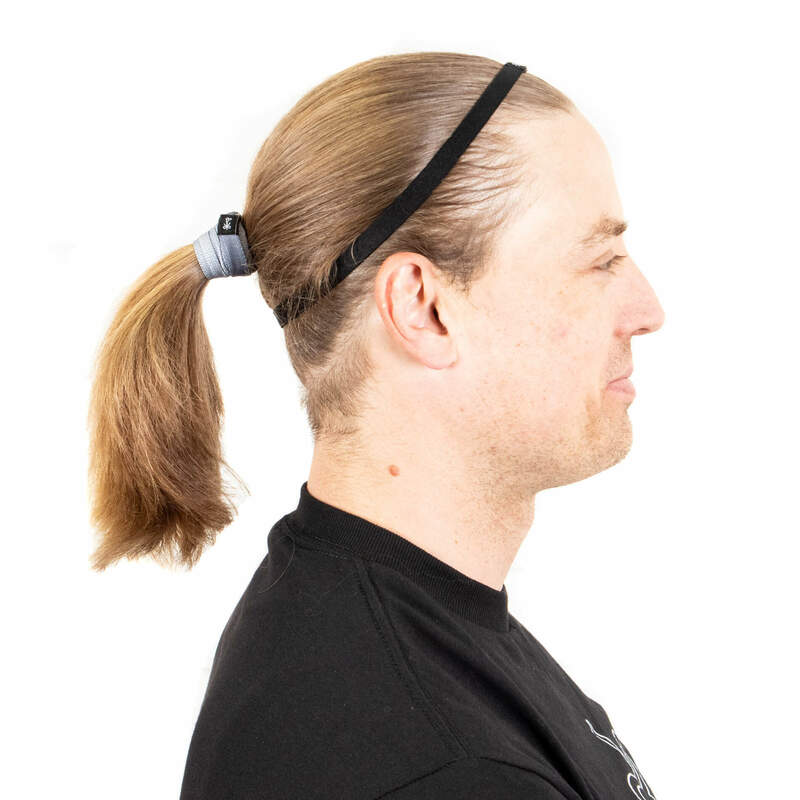 I am in the same boat as Humberino where I was doing a pony tail just to keep the hair out of my eyes and face but these are really great options. The ones with the thickest band will be great for when it gets cold too. Awesome advice and thanks for the detailed pictures! I’m digging the runners choice!!! 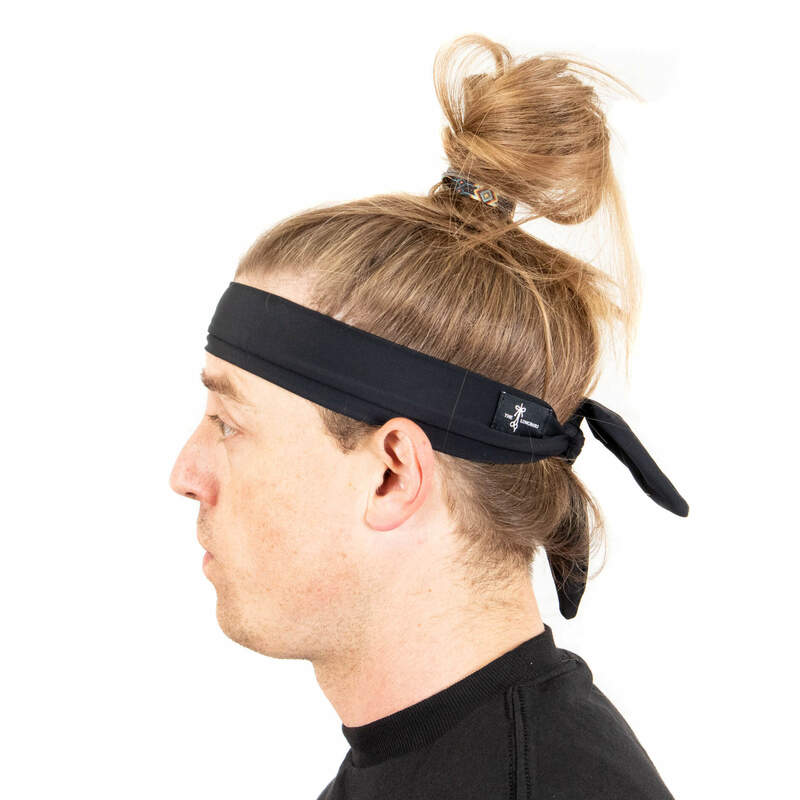 Not only does it get the hair out of your face and off your neck, the headband pulls back the flyways. Awesome style, i possibly might use that even went I don’t work out! 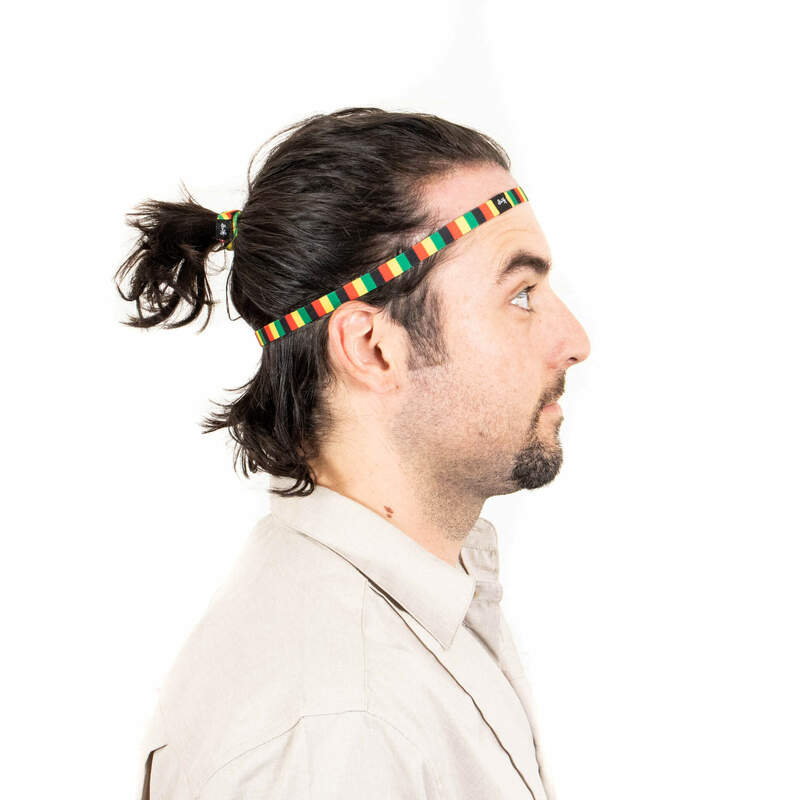 What type of headband are you using in “THE UP & BACK” ? Just stumbled upon this great page. 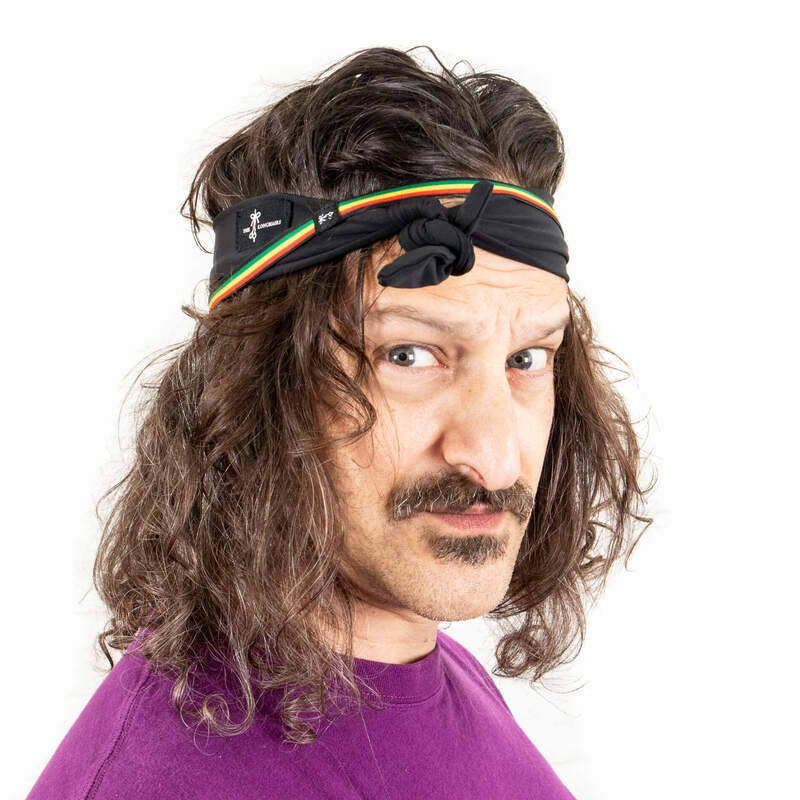 I want to to know what type od headband you have used in the “the UP&BACK” style, cant take my eyes of it. Love its kinda tribal look. Any amazon or any other link that you can gimme to buy it. 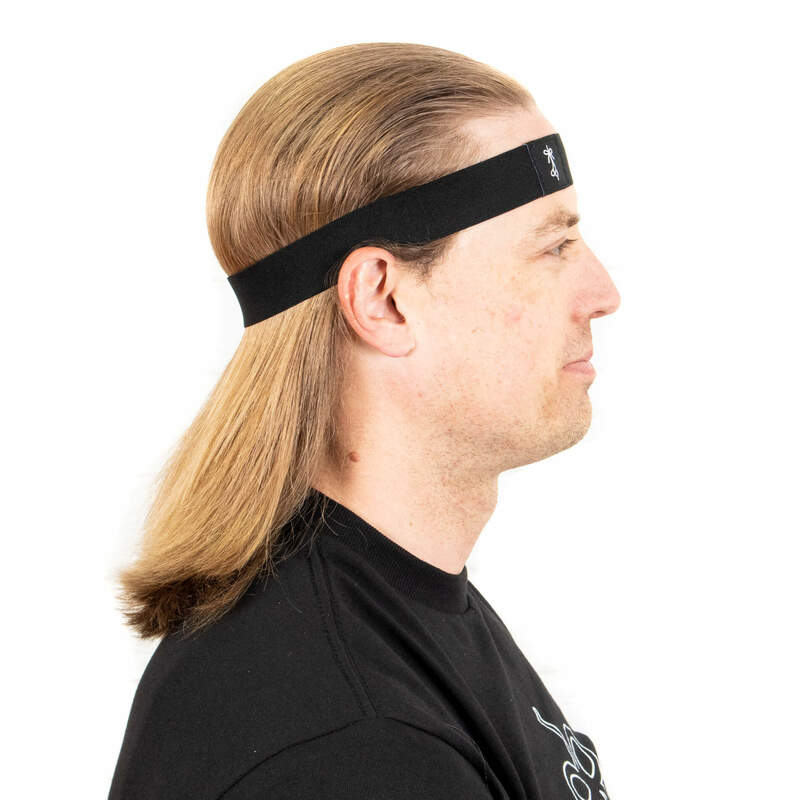 I use the common steel-like headband(you know the ripple shaped one) but my hair get entangled in it while removing the band (trying for To grow my mane in hot n humid climat, pray for me)so i need a wide toothed style headband like the one in thr “UP&BACK” above. 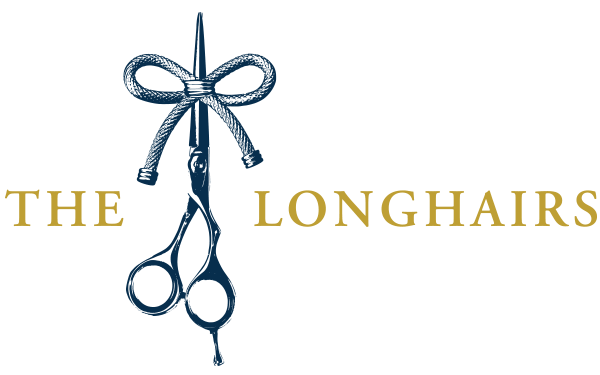 You should reshoot these photos with the longhairs products! 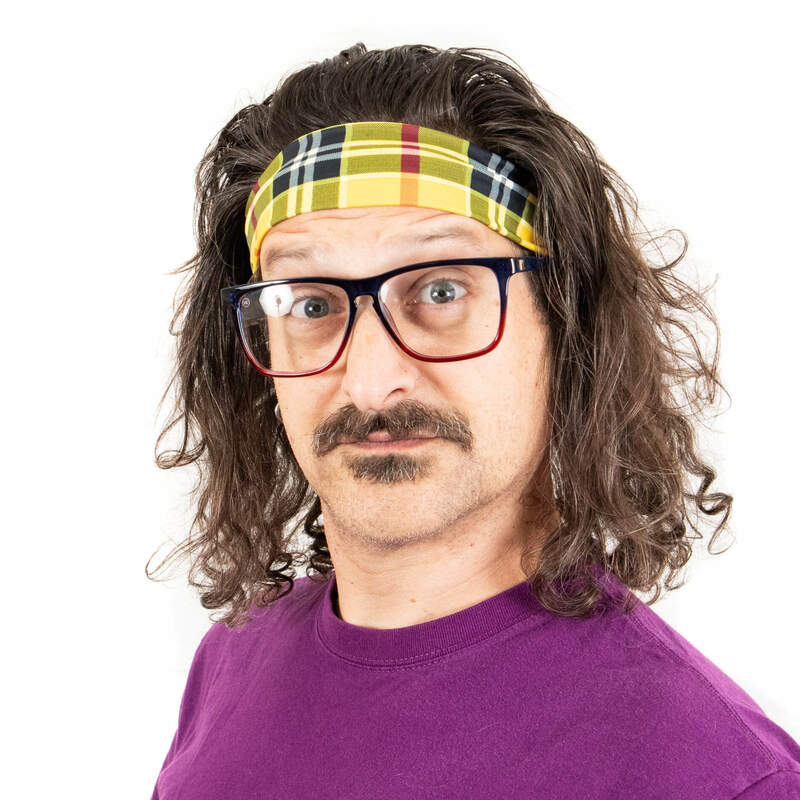 Hey Jude, you got that right! Tacked onto the queue. Any tips on washing the headbands? You can just throw them in the washer and then let them air dry. 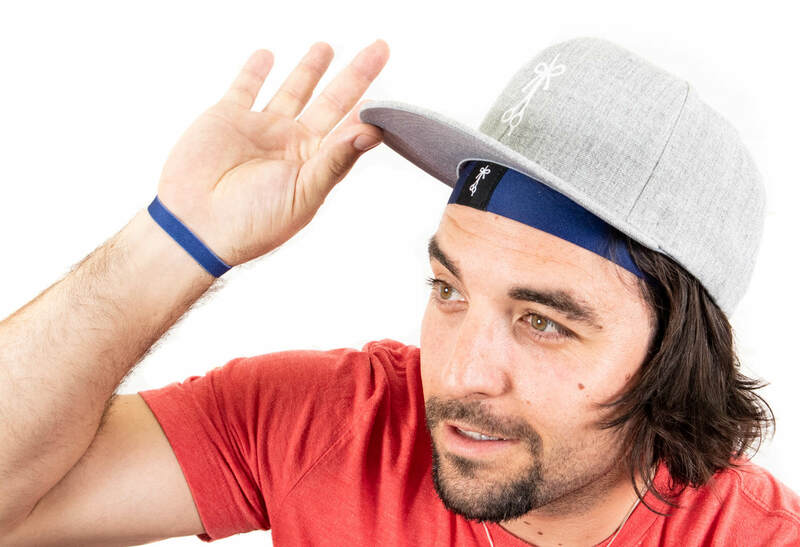 If you don’t mind my asking where’d you get the runners choice headband? We are currently sold out but should be back online with these soon. just got into wearing headbands. I love them. Thought they were girly for years but then finally got the guts to go out and get some plastic headbands and now wear them everyday. Get alot of weird looks but who cares. I love wearing them in the driving style image as you have on here. They’re looking at you because you look AWESOME! And they only wish they could rock it like you. 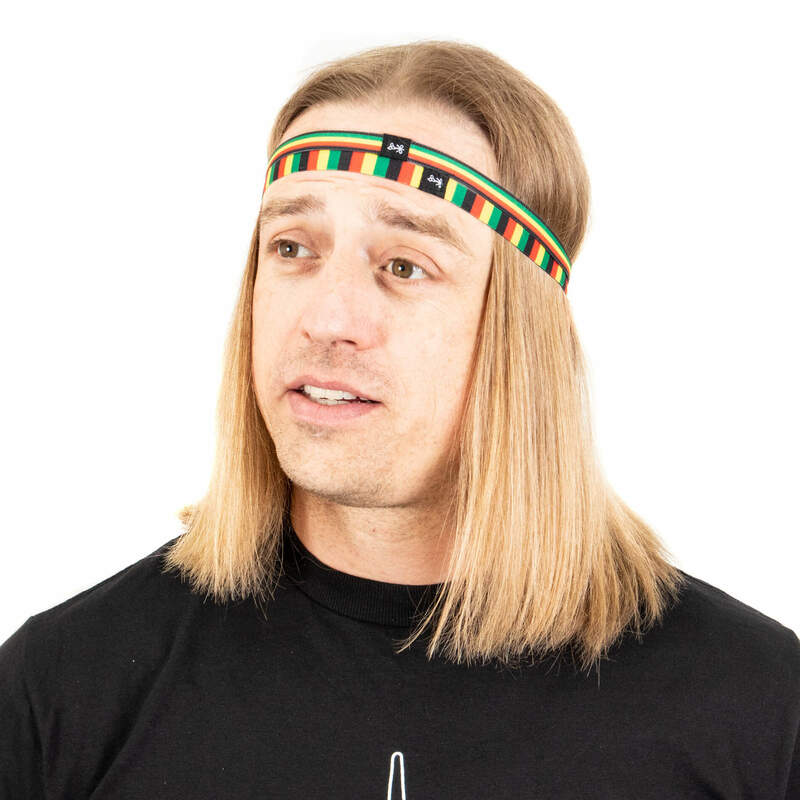 So I’m pretty much in the awkward stage but I’m curious as to how long it should be before I start rockin the headband? 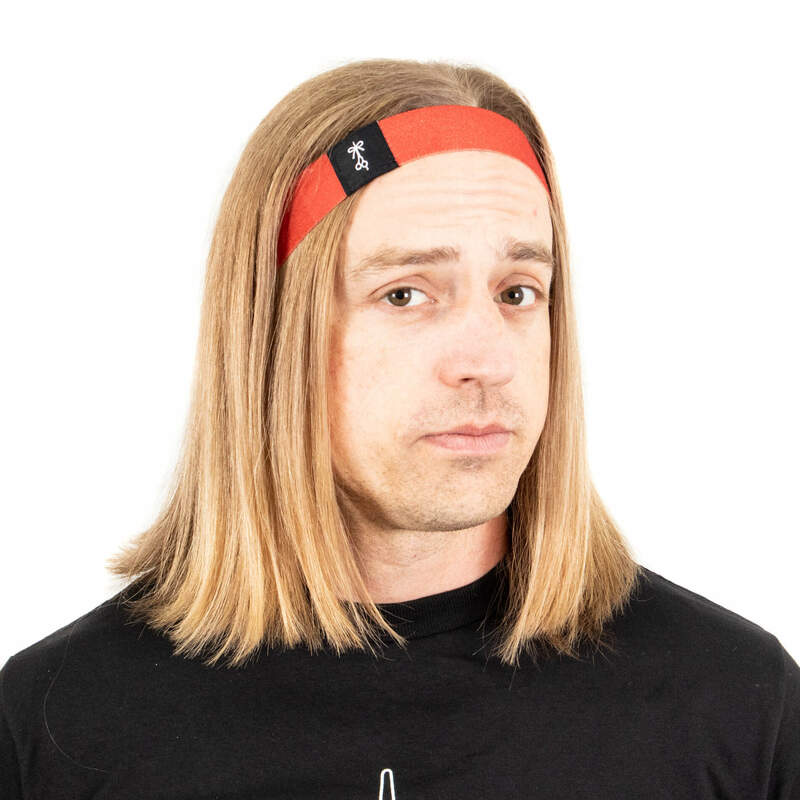 The headbands are great for any length of hair. Especially in the awkward stage. 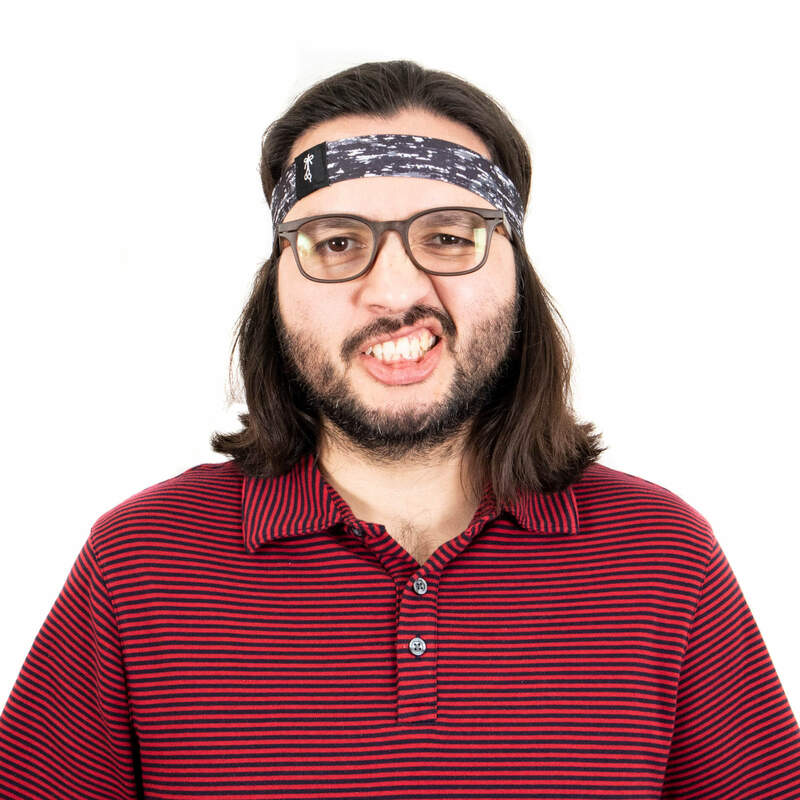 Where can I get a good thin headband because I only see the thick ones on your store. 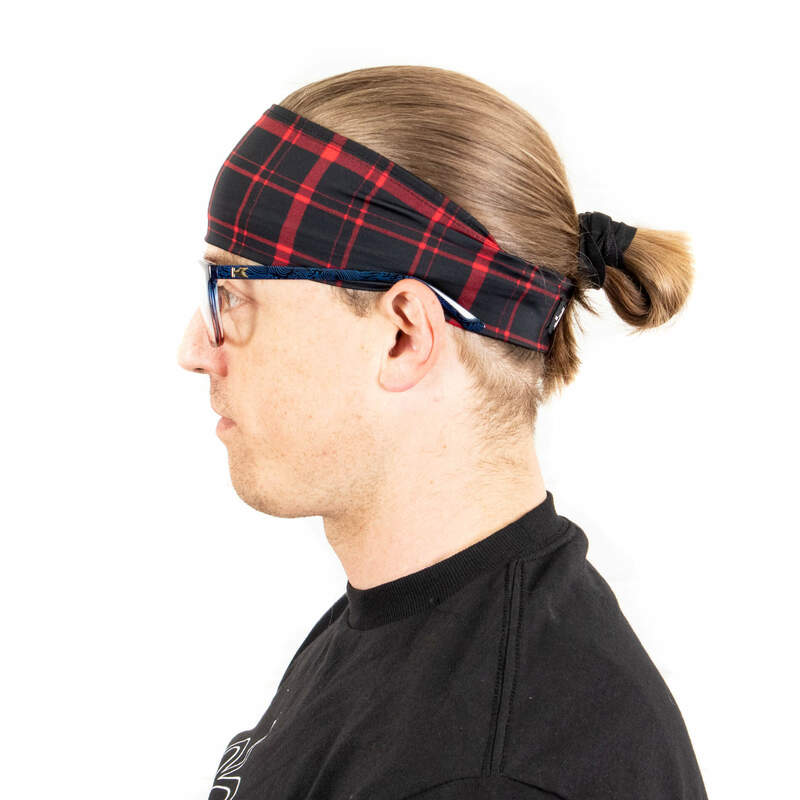 I really want to get one thick headband and one thin one to see which I like better! We are working on them mate! They’ll be coming out this year and will be dopy city. Yo mate, can i get the futboler style from your store? We are working on this mate! We should have by early next year.